Tested in HP PageWide Pro 577dw Multifunction Printer. Average based on ISO/IEC 24711 or HP testing methodology and continuous printing. Actual yield varies considerably based on content of printed pages and other factors. For details, see http://www.hp.com/go/learnaboutsupplies. 1 Based on ISO 24711 cartridge yields for HP 970 series High Yield Original PageWide Cartridges compared with HP 970 series Original PageWide Cartridges. High-yield cartridges are compatible only with HP PageWide Pro 400 and 500 series MFPs and printers. Learn more at http://www.hp.com/go/learnaboutsupplies. 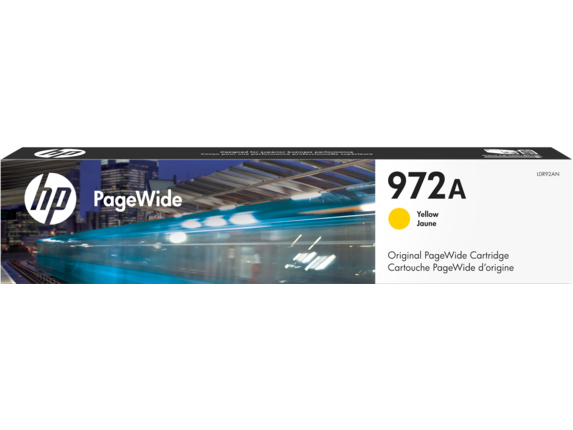 2 Yield based on ISO 24711 cartridge yields for HP 976Y Extra High Yield Original PageWide Cartridges. 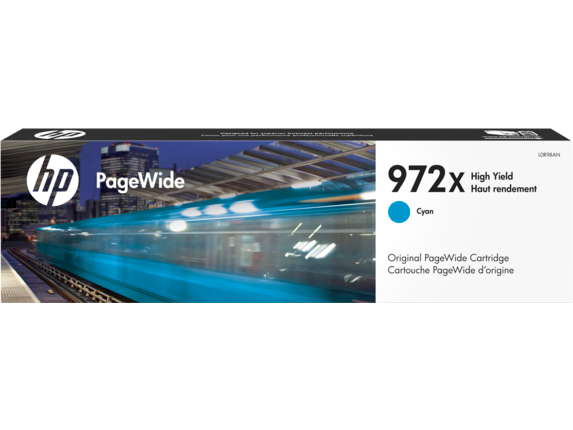 Comparison based on ISO 24711 cartridge yields for HP 976Y Extra High Yield Original PageWide Cartridges compared with HP 970 series Original PageWide cartridges. Extra-high-yield cartridges are compatible only with HP PageWide Pro 500 series MFPs and printers. Learn more at http://www.hp.com/go/learnaboutsupplies. 3 HP Planet Partners Program availability varies. For more information, visit http://www.hp.com/recycle. 4 Program availability varies. Original HP cartridge return and recycling is currently available in more than 49 countries, territories, and regions in Asia, Europe, and North and South America through the HP Planet Partners program. For more information, visit http://www.hp.com/recycle. 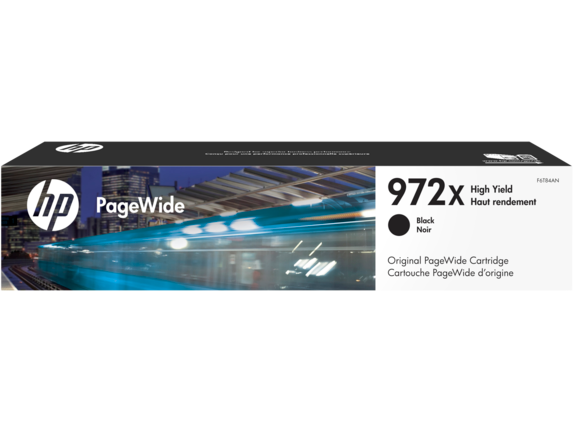 Tested in HP PageWide Pro 577dw Multifunction Printer. Average continuous composite cyan/magenta/yellow yield based on ISO/IEC 24711 or HP testing methodology and continuous printing. Actual yield varies considerably based on content of printed pages and other factors. For details, see http://www.hp.com/go/learnaboutsupplies.